It is a known fact that the most crucial component in any of the industrial house is an effective storage system. If you search, then you will find that there is nothing better than pallet racks in for the industries. This is considered to be very useful because it has many variations so that the products can be kept in an organized manner. 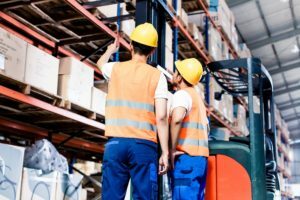 How are the pallet racks constructed? 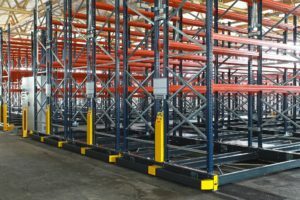 The pallet racking is a system where these racks have upright steel frames and they are connected by the horizontal beams. The heights of the beams that are supporting determine the number of the pallet positions in each of the bay. You will see that the normal height of the rack is about 20 to 25 feet, but you can also opt for about 100 feet. This will depend upon what you actually want to store. 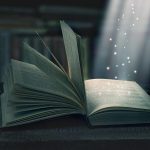 The components are made of steel so, they can be welded or even bolted and can be interlocked through a slotted connection. You can use the metal pallet racks and they are categorized into two main divisions. One is the low-density system. The second one is the high-density system. Selective pallet rack – This is considered to be the most versatile and popular pallet racking in the industry. The reason is that it gives a lot of space and also immediate access to the load that is stored with the use of forklift. This type of racks is usually available in the debris resistant and easy to clean structural steel. This can be said to ideal for the use in food handling operations. Double deep – These racks are created by putting placing one row of the selective racking behind the other. This is one of the least expensive ways to create maximum space for storage. Back racking – This is a special pallet racking system where the pallets sit on the carts and that can slide forward when the pallets in the front are removed. The pallets are fed and also retrieved from one of the aisles so that the picking times can be reduced. These racks then become ideal for applications. It is considered to be a popular option for food-oriented operations. Pallet flow rack – This system that is also known as gravity floe racks utilize the sloping racks and the FIFO loading systems. Here the new pallets are added to the higher end and removed at the lower end. This is ideal for freezer warehouses. It saves and maximizes space. It is safe and there is no chance of fall and collapse of the racking. They make the storage system accessible and convenient. This helps to accelerate the operations of the warehouse. The important aspect about the pallet racks is that it is an essential part of the infrastructure for the warehouses. It is obvious that if the racking system is proper, they can work efficiently and picking process is streamlined. The warehouse plays a major role in the industry and so the racking system needs to be the best.